Hi - I am working to fix my swing, making it steeper in the backswing and shallower towards impact. Additionally, I'm trying to hold my wrist angle longer which I struggle with. My problem is I am having trouble squaring up the club face at impact, as you can see in the video linked below. It feels like I'm chopping at the ball, and even sometimes like I'm coming across it. Any advice would be greatly appreciated. Thank you. https://www.youtube.com/watch?v=ZsNW6FldBww&feature=youtu.be (I filmed it in slow motion on my iPhone so if you slow down the playback speed on Youtube, it should come through pretty clearly still). understood - thank you. In that case, this thread can be deleted and I'll post a new one with better footage. whoops - thanks. I'll see if the mods can move this there. 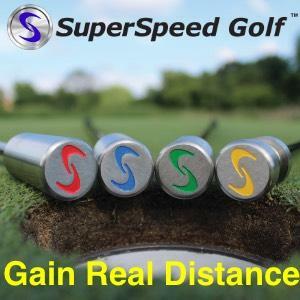 Link to video of swing: https://tmgolffiles.blob.core.windows.net/videos/03ffa45e-4990-4173-a8a5-5996180a79bc/20190331122445_DL_TM4Cam_TM4_18024015.mp4 I'd like any feedback or tips. I'm very inconsistent - I have been trying to limit my vertical head movement, which I failed to do in this video. The lifting and shoulder angle seem to be my biggest problems from my own assessment, but would love to hear what others might pick up. The trackman stats on this swing: Club speed: 85.5 Ball speed: 116.9 Smash: 1.37 Spin rate: 4847 Height: 100 Carry: 172.7 Total: 183.3 It didn't pick up my club path or attack angle for some reason, but both of those usually fall in the -5 to -3 range. Thanks for any advice.